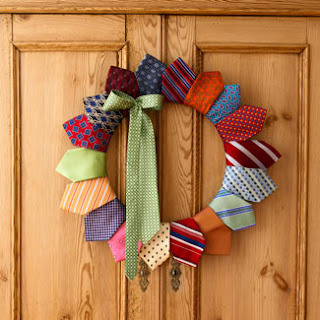 If you don't have any ties that you want to cut apart and you can't find any good ones to use at the thrift store, you could always use Dad's ties for a tie garland. No harm required and they can go right back in the closet when you are done. 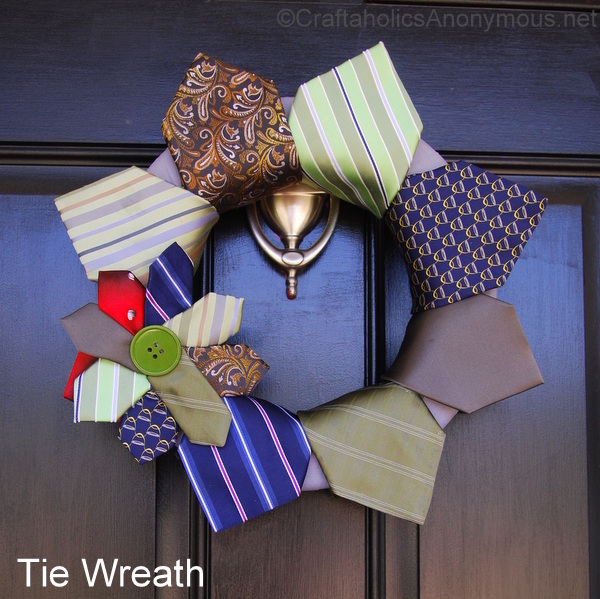 If you do want to tackle a Father's Day tie wreath this week, you can check out the tutorial over at Craftaholics Anonymous. 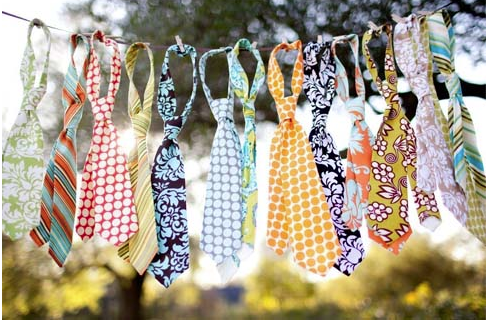 (And the fun little bow she made with the ends of the tie would also make the funnest bow for a Father's Day present too! I made one last year using your tutorial and absolutely love it!